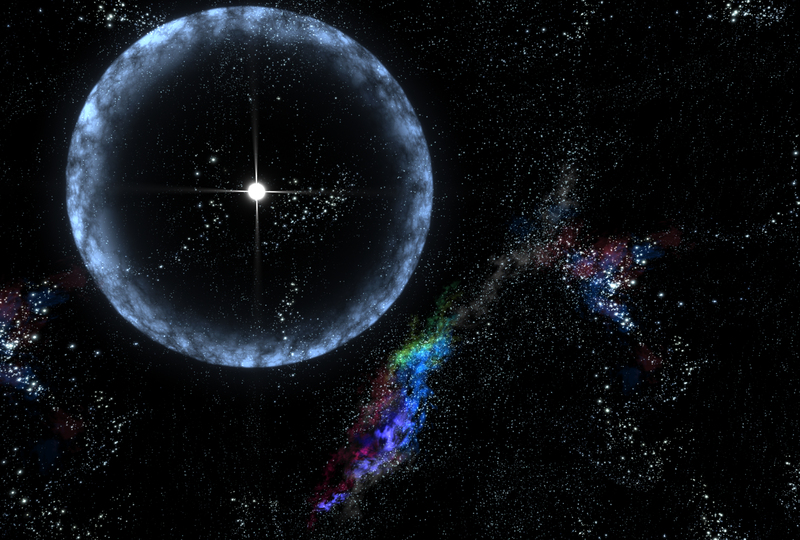 SGR 1806-20 is a magnetar, a particular type of neutron star. It has been identified as a soft gamma repeater. SGR 1806-20 is located about 14.5 kiloparsecs (50,000 light-years) from Earth on the far side of our Milky Way galaxy in the constellation of Sagittarius. It has a diameter of no more than 20 kilometres (12 miles) and rotates on its axis every 7.5 seconds (30,000 km/h rotation speed at the surface). As of 2007[update], SGR 1806-20 is the most magnetic object ever perceived by humankind, with a magnetic field over 1015 gauss (1011 tesla) in intensity  (compared to the Sun's 1-5 gauss). SGR 1806-20 has a magnetic field that is a quadrillion times stronger than that of the Earth. Source: Wikipedia's article on SGR 1806-20. This archive is an image file that is in the article. Notice that you'll get the download screen instead of opening the image. This is what is expected. Remember: this is a service to help people download files. Sign in to favorite this file.